At the far north-eastern corner of Princeton lies a huge tract of preserved natural land. 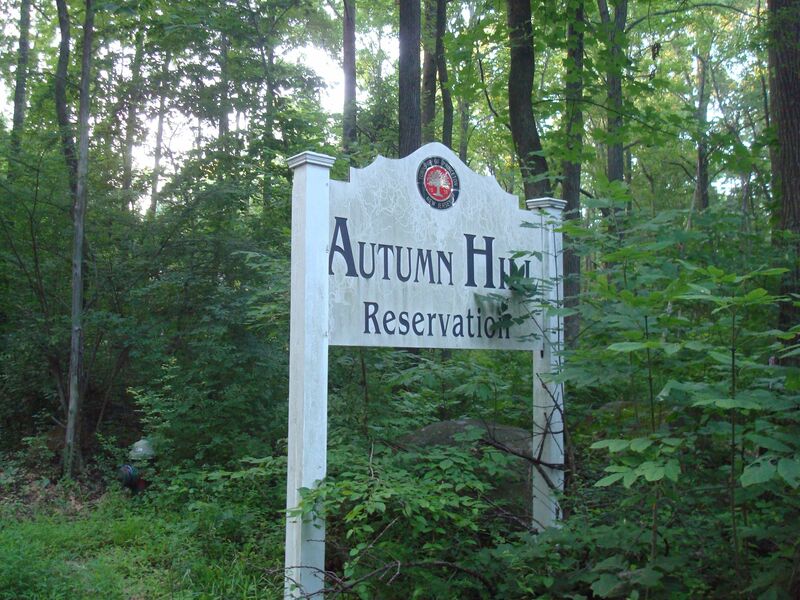 This is ‘Autumn Hills Reservation’, north of Herrontown Road, which was acquired by Princeton Township’s Open Space Commission in the late 1960s. At that time, it was “being developed for nature trails, family and group camping”. In 2013, it remains a nearly-wild area, with just a few rough paths cut through the canopy of trees. We took a walk through this most isolated of Princeton’s open spaces, in search of the elusive ‘scenic overlook’. We can thank local Boy Scouts for the few trails and amenities that exist in Autumn Hills reservation. 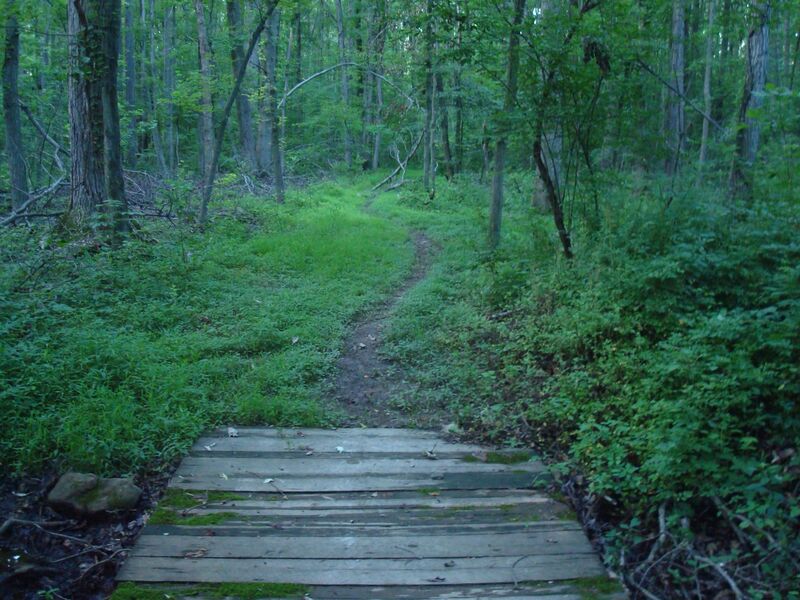 In 1992, Boy Scouts of Troop 43 spent >150 hours cutting trails in the area. In 2004, local scout John Shaw added to this work as part of an Eagle Scout Project. 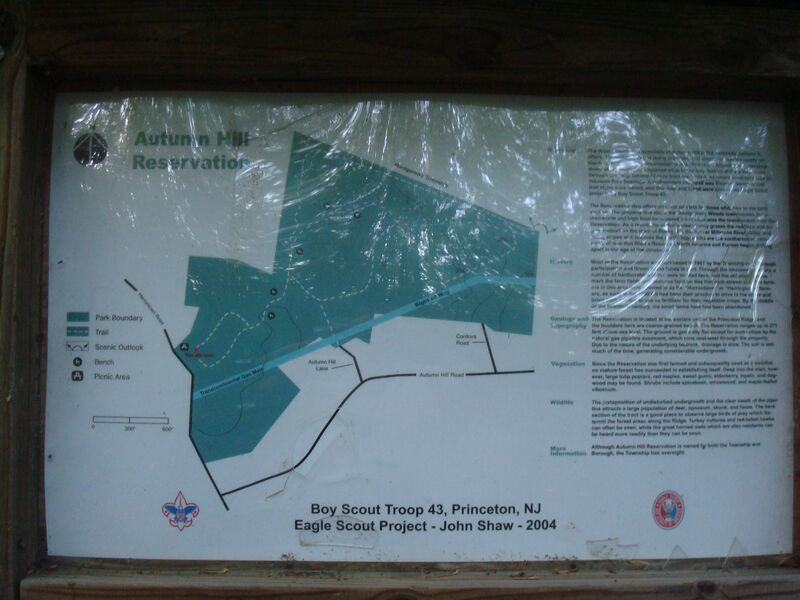 This map at the entrance on Herrontown Road shows the location of the trails and indicates a ‘scenic overlook’ deep in the forest at the north-east edge of the park. But what of the famous ‘scenic outlook’? Where can it be? 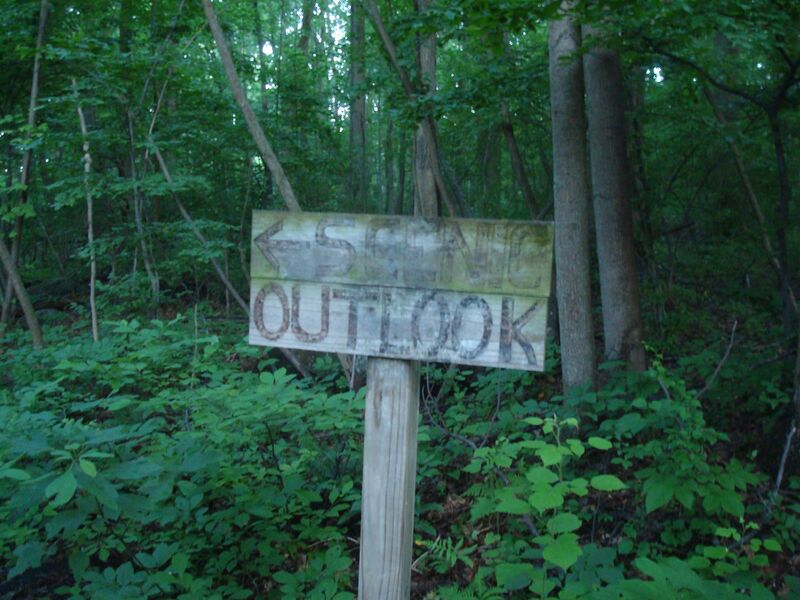 This fading sign for the ‘Scenic Outlook’ may make you wish you had a traveling companion with a bullwhip and a fedora. Finally the trail starts to open out again! We are at the verge of the Scenic Outlook! How good is this going to be? It’s surely going to be so worth it, having come this far…we’re expecting something pretty spectacular! Eh? What’s this? Where is the expansive vista over the Millstone River Valley? This is just some townhomes. Quite nice townhomes, to be fair but didn’t somebody get the memo- ‘townhomes’ are supposed to be in a ‘town’! Instead they are out here in the countryside, just over the Princeton town line, in Montgomery Township. Well, people have to live somewhere, and if we aren’t going to build houses in Princeton where the jobs are, we can’t be too shocked when houses appear on green spaces nearby instead. 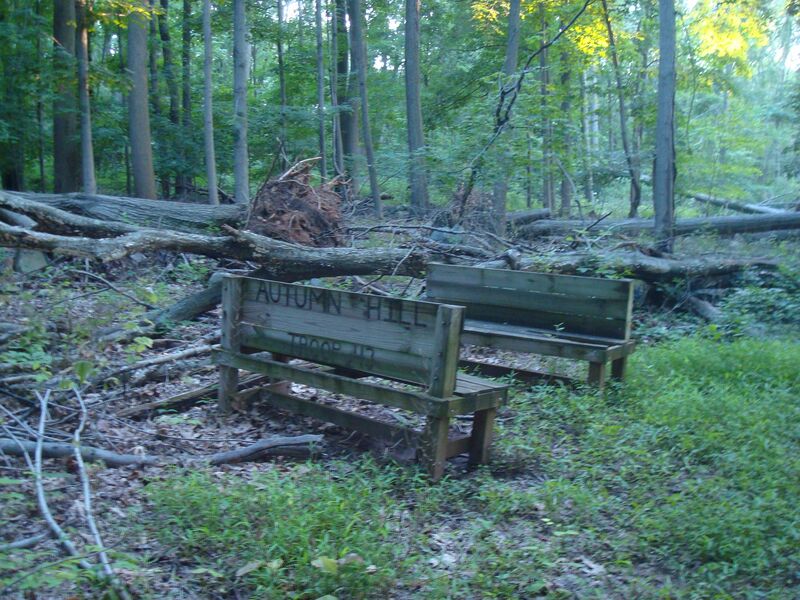 At least Princeton residents can enjoy protected green space like Autumn Hills Reservation. Development might pick up again as soon as the park ends, but for 78 acres, nature rules. Ever been to Autumn Hills Park? What did you think of it? Do you know the Scouts or other volunteers who have given their time to maintain this park? 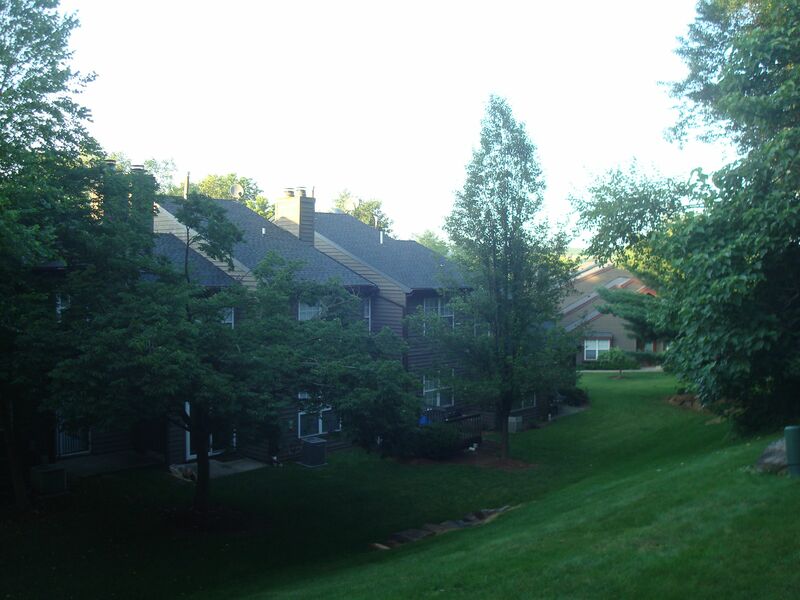 Or do you live in the townhomes along Blue Spring Road? We’d like to hear your opinion. Please leave a comment using the box below. 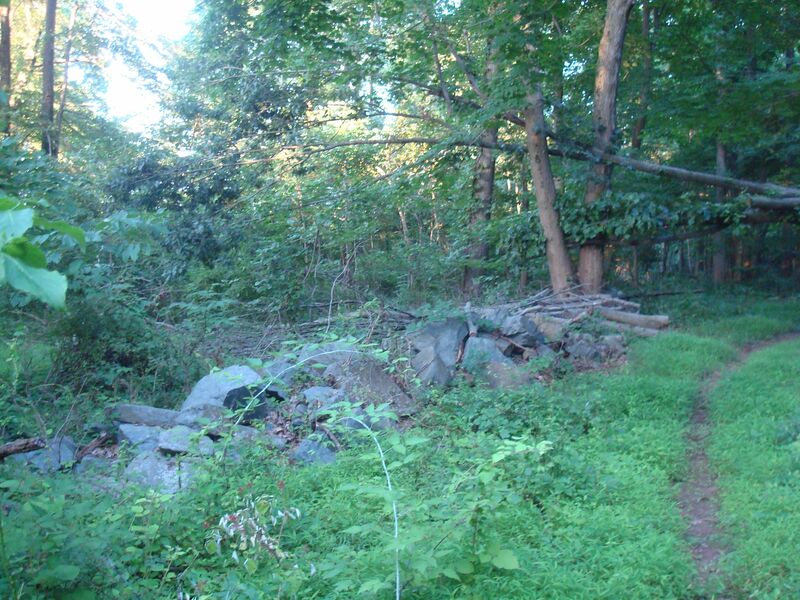 This entry was posted in Princeton, Smart Growth, Sustainability, Trails, Walking and tagged Boy Scout, Eagle Scout Service Project, Millstone River, Mother Nature, Princeton. Bookmark the permalink. Hah. Wasn’t expecting that. And I used to live in those townhomes. Your account above sounds just like our experience. As I noted on fb page: FYI, family member got a deer tick on her and then got lyme disease about four weeks ago. Other then that, we really enjoyed our hike. I just took my dog on a few of the trails here (marked by green and yellow tree plaques). Pretty nice, some parts of the trails get difficult as they are incredibly rocky. I saw numerous signs about hunting taking place (September to January), but these signs were for 2009-2015 spring. I did not see any sign involving the current time, but I was pretty concerned that I might have been walking through hunting territory. Since it is winter, I did not see any animals, or people for that matter. Super secluded and peaceful. The vintage car was a weird touch. We walked on the green trail yesterday and got to a split that went downhill toward Blue Spring Road. Maybe today we will explore the other trail. I have not clue which direction the rusty old car is. Walked it yesterday for the first time, with our dog. Nice little walk, although would not want to walk it during the summer, seems like it would be buggy and overgrown. 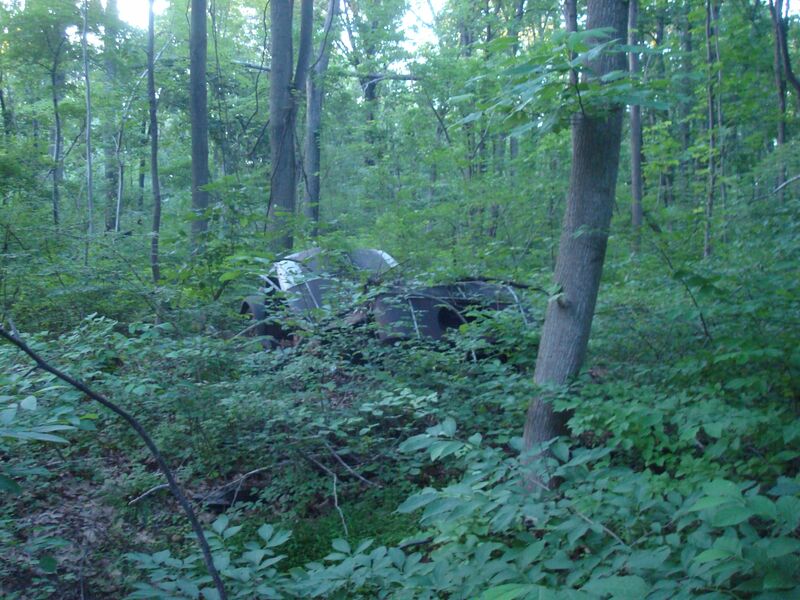 The car is actually very visible, if you walk in from Herrontown Rd parking lot. 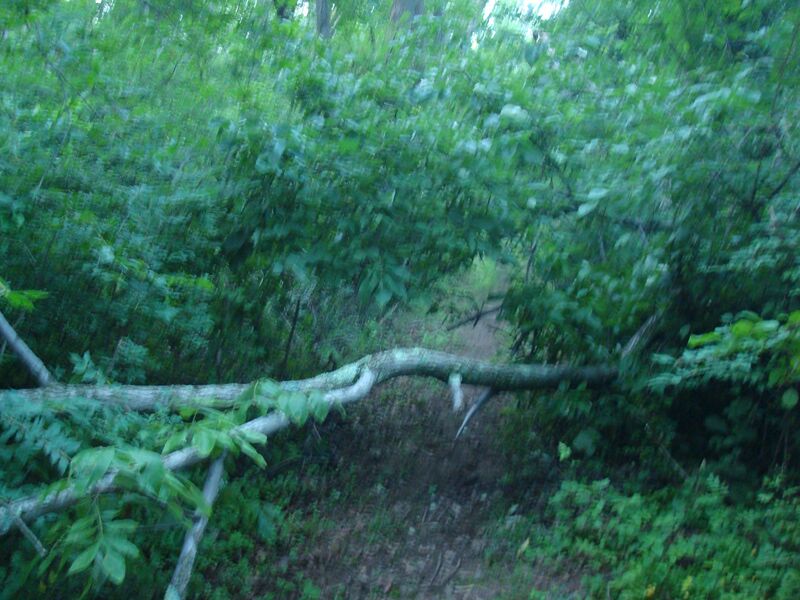 When the trail splits, follow the right-hand branch and it’s on the left-hand side, a few hundred feet along the trail. I love this place, it was a refruge of quiet contemplation for this Princeton born person! My heart sunk when I saw the apartments, ah but that is why I left N.J. in the 1980s for Maine. Save those trees, because even here in Maine, big old trees are rare! And they take forever to grow….